Rebekah read music at Cambridge University, where she recorded for BBC Radio 3 and was a member of the audition only Cambridge University Chamber Choir. As a Singer and Singing Teacher, Rebekah understands the requirements behind performing at all levels, from beginner to professional, and has a wealth of knowledge in order to help get you there in a warm, fun and friendly way: “For me, it is the most wonderful thing to see the reaction on my clients faces and the growth in confidence when they achieve something new. It’s exciting; I love being part of that transformation!” Rebekah also has a passion for working with adults on improving their sound, working on technique and rehearsing for roles and auditions. Whether new to singing or an experienced singer, Rebekah has plenty to help you onto the next stage. In addition to an extensive subsequent career as a Soloist, Rebekah worked for 8 years as Director of an independent school Music Department. As a result of this, Rebekah understands the exam recital requirements at GCSE and A level, as well as the ABRSM, Trinity and LCM exams. She has also worked closely with students on entry to conservatoires and performing arts establishments. As a Conductor, Rebekah started Luminosa Choir from scratch six years ago and the choir continues to go from strength to strength, with a Chamber Choir and a Youth Choir now thriving too. 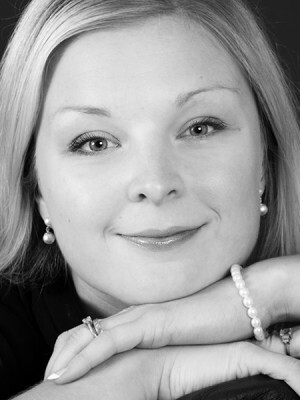 As well as teaching singers and conductors from her home near Alton, she is also Vocal Professor and Chorus Director to the Royal Marines School of Music in Portsmouth and has most recently worked with Royal Marines Band Service singers in a performance at the Royal Albert Hall. "I sing in a band which does lots of weddings and gigs throughout the year. I’d started to experience trouble with my voice, so went to see Rebekah and she instantly made a difference to how I sing; which in turn had a positive impact on the problems I’d been having. Rebekah draws upon a wealth of knowledge around the fascinating mechanics of the voice, and I understand so much more about sound production since working with her." "I went to Rebekah to brush up on my singing and to enjoy making some music. I’m a fairly experienced singer, but my Cathedral Chorister days are long gone. Rebekah rates ten out of ten on both scores! She fills each lesson with fun and a brilliant mix of positive tuition and just singing , and sends you away with a set of notes on Dropbox, music accompaniments in just the right key, so that you can sing at home too. My singing has improved, and I know I’m enjoying it more and more.
" I was looking to take my singing a bit more seriously and I came across Rebekah. Although I hadn't had no previous singing lesson experience Rebekah has made me feel at easy and welcomed. I look forward to having Rebekah tutor me through my journey." "I have been having lessons with Rebekah for over 5 years. Having completed a degree in music, majoring as a singer, I wanted to find a teacher that could continue my development, skills and repertoire so that I could still enjoy doing performances outside of my career in Finance, and Rebekah has more than delivered!" Rebekah has a thorough understanding of the mechanics of singing, how you use different muscles in your body, the best way to position yourself with posture and she has unique ways of teaching you to understand how you can improve your sound and resonance - I've never learnt so much about the technique of singing! Through giving me opportunities to learn more technical repertoire, I have been able to put all the practice to use in performing semi-professionally as a soloist, this truly has enabled me to reach performance levels that I've not been able to achieve before - whilst doing something that I totally love...performing! Rebekah supports and encourages me through my development, but most of all, teaches me how I can become a better singer and performer. Lessons with Rebekah are fun, relaxed and enjoyable - but certainly hard-work which is exactly what singing should be about. I learn more about my technique each time I see Rebekah and I can hear the improvement to my tone which is so exciting. Rebekah has a great ear and can pinpoint improvement areas very quickly but is also very enjoyable to work with. I couldn't recommend Rebekah highly enough, whether you're just starting out and wanting to sing for fun or whether you've worked your way through the profession and need tweaking on the techniques, Rebekah adapts her style and teaching accordingly. "After only a few weeks of coaching I have gained a good understanding of how the vocal chords produce sound and what I need to do to give them the best chance to deliver my best performance. This includes correct breathing, posture and correct head and neck position. In addition key exercises, especially lip trilling problem sections of songs, have helped me to understand how to draw power and sing ‘on the breath’. This has been a game changer for me and massively increased my confidence so I don’t have the fear and tightening up as I approach tricky notes etc." "Rebekah’s initial assessment of my particular place in experience and her understanding of what I wanted to achieve was spot on. The music I have been given to learn with, provides both theory and the technical ability which is so important to improve. Rebekah’s attention to every detail and support is wonderful. I really enjoy my lessons with Rebekah because she is an absolute professional, kind and light-hearted. Rebekah’s method is calming and makes concentration easy. The studio is well equipped and has a lovely atmosphere."